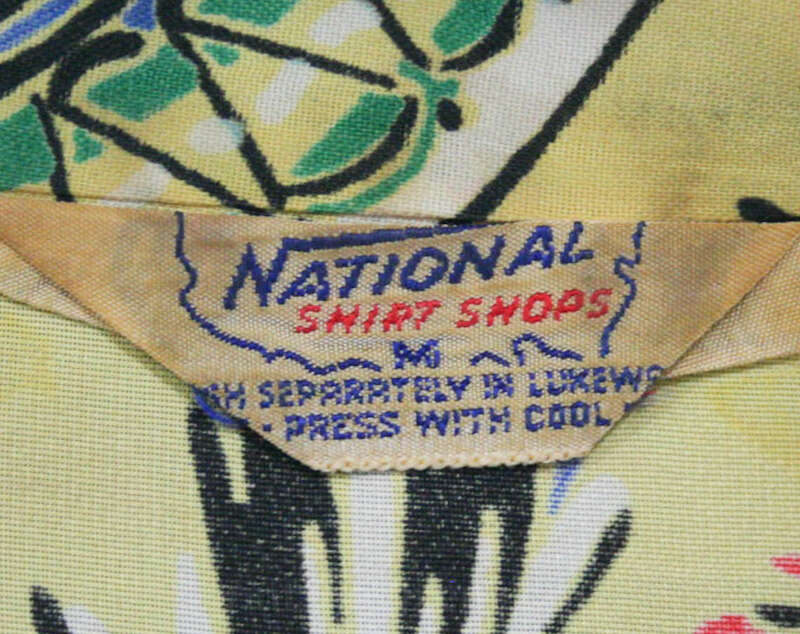 National Shirt Shops was a men's retailer that began as a line of shirts in 1911 and expanded to a full-scale storefront with many locations nationwide by the 1940s. In Florida alone, there were nine National Shirt Shop locations. 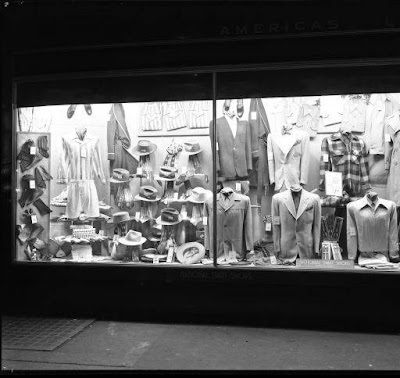 The photo above shows their storefront in a Kentucky downtown area in 1948. That black & white photo belies the colors that collectors seek today from the National Shirt Shop line. 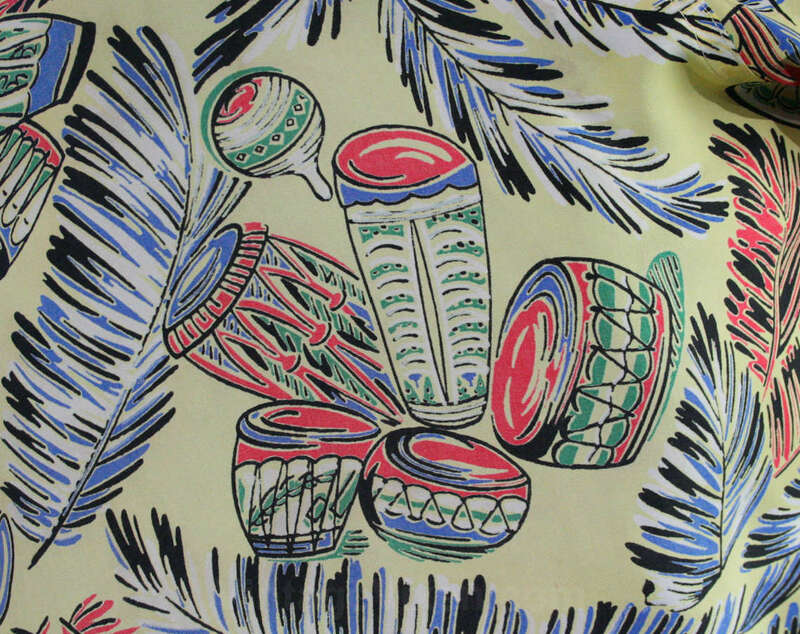 This vivid tropical print rayon shirt is typical of their label's brilliant hues, meant for summer weekends of carefree style. 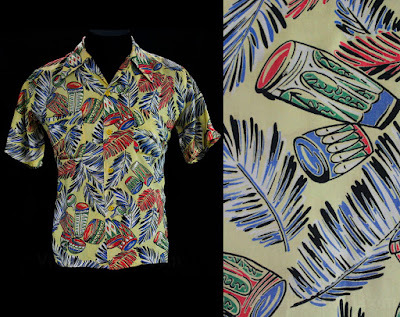 National Shirt Shops appeared to have a heyday in post-World War II years, benefiting from the popularity of Hawaiian shirts at the time and the prosperity of post-war America. As their slogan says, they literally spanned the country "Coast to Coast"! 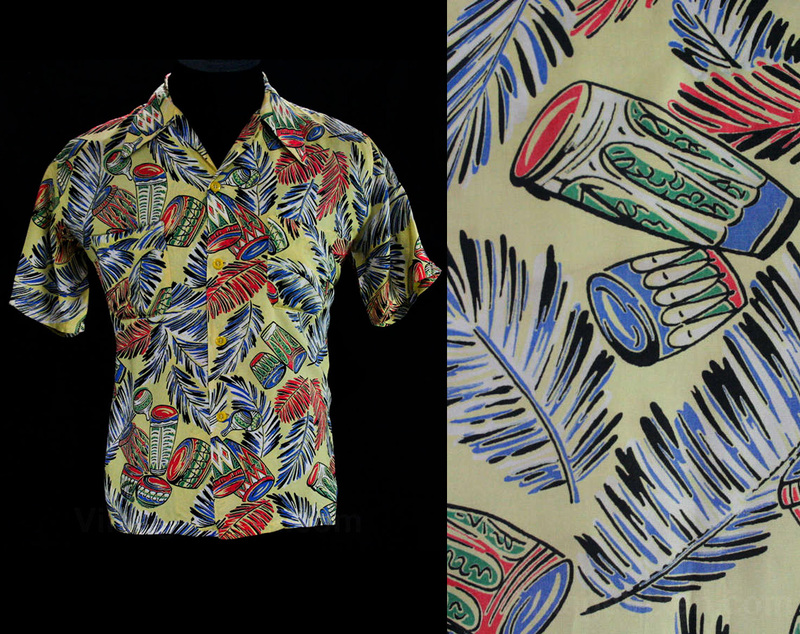 This 1940s Hawaiian style shirt is currently available as of the time of posting. Write us if you're always seeking them, and we'd be glad to hunt them out for you. 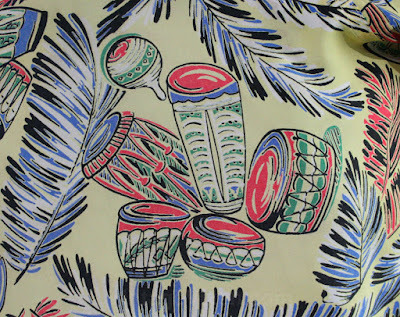 Nice blog.I am a designer and this blog is very new information for me.Thank you for the post be her and also happy to discover your site.